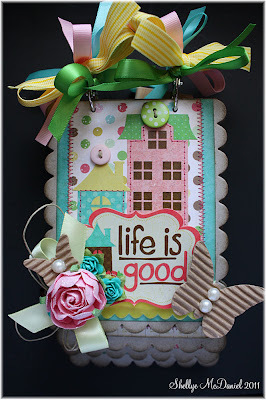 I love how the bright cottage colors dress up the distressed, but plain, chipboard album. The papers by Echo Park/Bella Blvd are cheerful and celebrate the good things in life. I used the last of my corrugated butterflies, so I must get more and soon! Candy sweet...eye yummy-ness that makes my ♥ happy. 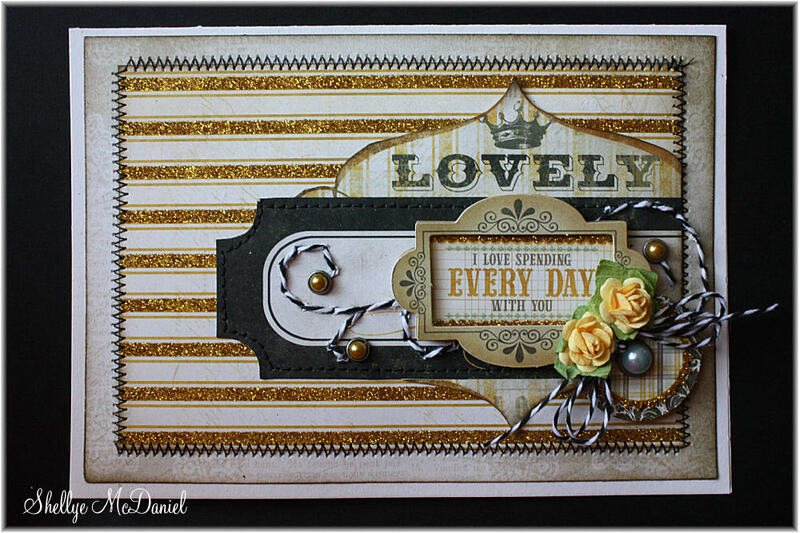 Wow, I really need to get my blog caught up with all of the card projects that I've created lately. I will start listing some of them at my Etsy shop tonight...my card box is over-flowing! Another card created for a challenge over at the Nook. 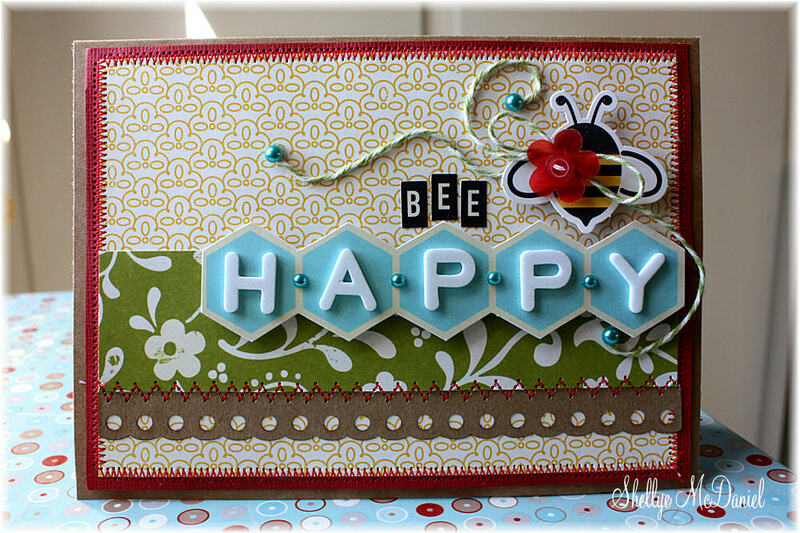 Part of the challenge was to use a hexagon shape, which is oh-so popular in design right now. 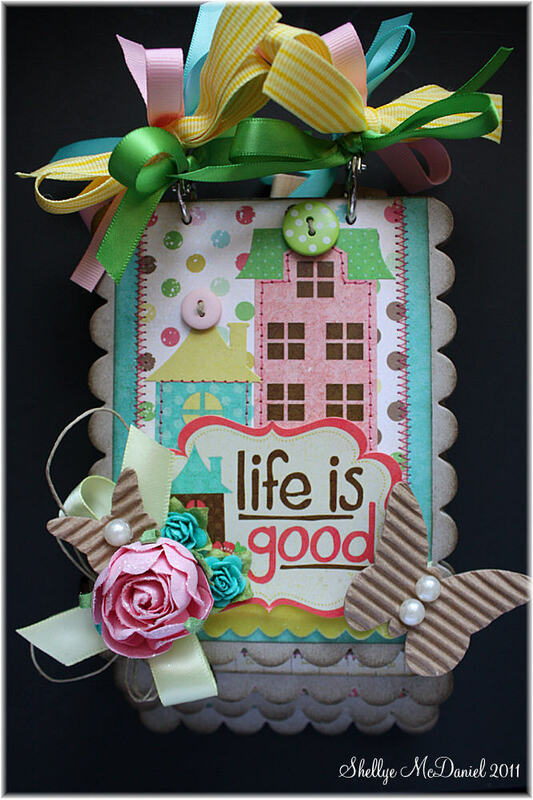 I'll be peddling again soon with Hello Fall by LYB. I received a box full of goodies yesterday and I can't wait to dig in and come up with something super special for their blog readers :) So many choices...I'm not sure what to do first! If I had to pick one thing that has been my favorite from both the Head of the Class and Hello Fall, I would have to go with the canvas elements...Fabric Favorites, Canvas Borders and Tape Rolls...I really like the texture and the look that they give to a project. Hoping that you all are having a wonderful week! I literally squealed out loud when I saw that bee card!!!! I love it!! 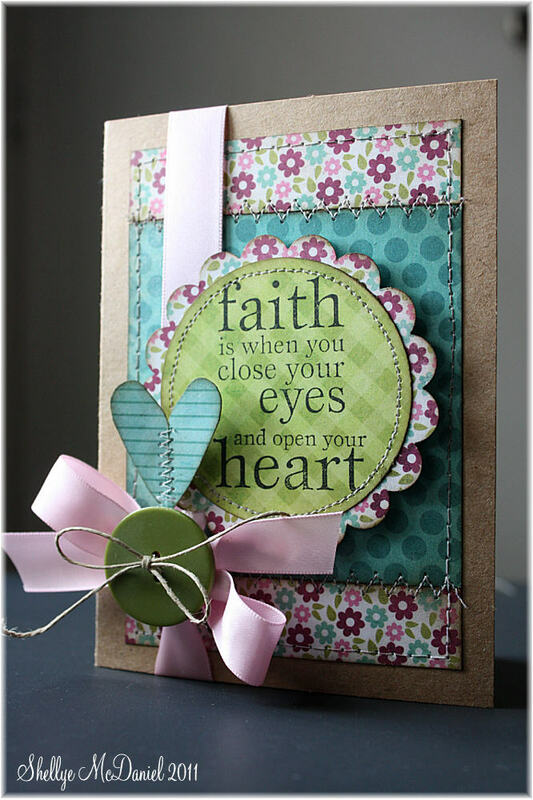 =) All of your cards are beautiful. You are amazing. Beautiful cards Shellye! Your details are fabulous as always! 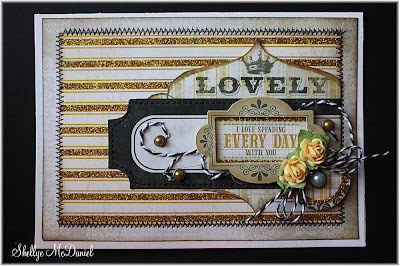 Gorgeous mini and cards, Shellye! 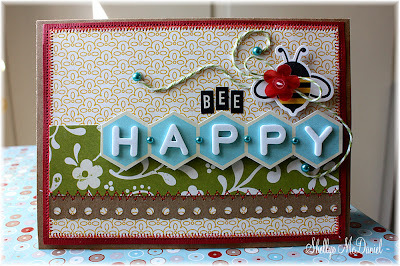 I love all the stitching you add to your projects!